Kickstarter projects are ten a penny these days, as startup after startup vies for attention and financing. While many projects fall by the wayside, just a handful come to fruition and one of the latest is a handy USB dongle that allows for secure, anonymous web browsing. In just 45 days the campaign reached its target of $60,000, meaning that larger scale production can now go ahead on the line of security-focused USB sticks. Webcloak is designed as an alternative to the likes of Tor, offering users a secure, self-contained browsing environment. This not only helps to keep browsing anonymous, but also protects against the threat of viruses, and its blend of hardware, encryption and "secure access" software has been designed with ease of use in mind. The problem with the likes of Tor -- aside from the fact that trust in such services has waned recently -- is that they are perceived as being complex to use, and this immediately presents a barrier. Webcloak has the advantage that it can be easily moved from one computer to another with a minimum of effort. Despite the relatively complex combination of virtualization, sandboxing and security, accessibility is at the heart of the product. Cyber security is a pressing issue for our modern society, which is ever more dependent on the Internet for all aspects of our business and personal lives. Webcloak is a truly revolutionary solution to this growing problem, and we couldn’t be more pleased with the support we’ve received from the Kickstarter community. The tool has been built from the ground up and features a custom browser environment bolstered by 256-bit AES encryption. IP cloaking is used to help mask users' identity and location, and the USB drive also features SafeVault, a secure file manager that can be used to store personal documents. 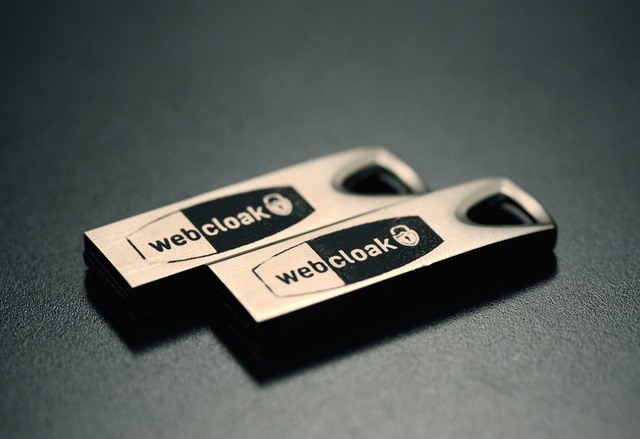 There's no word about when the secure USB-based browsing tool will be available to buy, but keep an eye on the Webcloak website for more details.